Nicole Kidman opens up about marriage and having more children. Nicole Kidman wants A LOT more children. Eight, to be precise! Yikes. 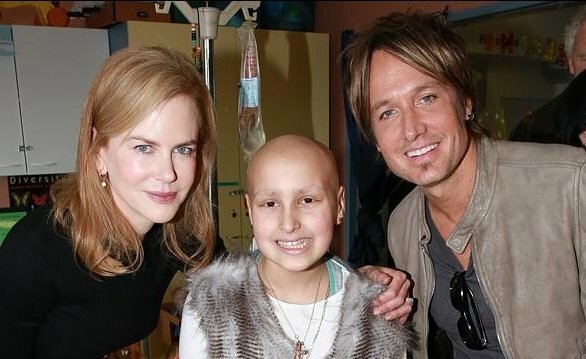 Nicole Kidman and Keith Urban, both 47, celebrated their eighth wedding anniversary this year, and say they’re still completely in love and are just as happy as they were at the start of their relationship . Nicole spoke on her marital bliss on British TV, adding that is very keen to add to the family. “I have four children already and my sister has six children so my mum’s like, ‘We’re done. We’re done’. But if I could I’d have four more,” she said. FOUR. Nicole and Keith are still very much in love. Nicole&apos;s brood already includes Isabella, 21, and Connor, 19, from her marriage to Tom Cruise, and daughters Sunday, six, and four-year-old Faith with Keith. Nicole also reflected on the pain of loosing her father, Dr Anthony Kidman, this September - she said she&apos;ll be "holding tight to Keith" over the Christmas season as she remembers him. Nicole and Keith with daughters, Sunday and Faith. The couple are clearly still very much in love, with Nicole gushing, "We work really hard to keep a relationship alive and to keep it incredibly deep and intimate. That&apos;s through meeting in later life and having lived a life and coming together at a particular time that was serendipitous." "There are incredible possibilities for love in the latter years. I sound like some old woman. Like a grandmother. Anyway, it&apos;s good and I&apos;m grateful." 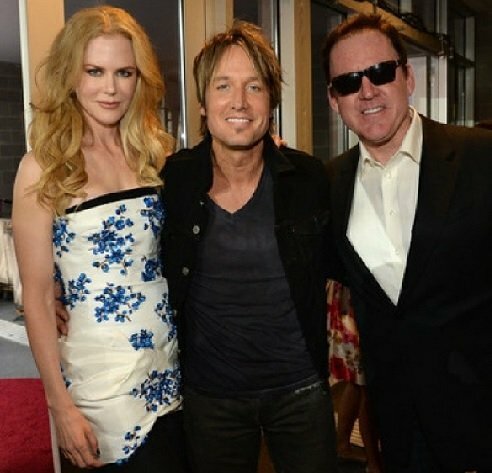 Nicole Kidman and Keith UrbanNicole and Keith are still very much in love. We are worried about Nicole Kidman. Nicole Kidman&apos;s father has passed away.